The Creative Theme for this jam is "The World Is Alive." Join us at our Opening Event and Closing Showcase in Portland, OR! Start small and stay small! Make a tiny playable game loop, challenge yourself to make as many micro games as possible, make a mini game and focus on polishing it as much as possible, or make multiple small games that accent a larger one! Popular minigame examples include those from Mario Party or WarioWare. "Holding Hands" and "Sphinx Cat" are examples of minigames made by PIGSquad members at jams! Each summer, game makers get together to make a game project with friends and community members in just over a week! 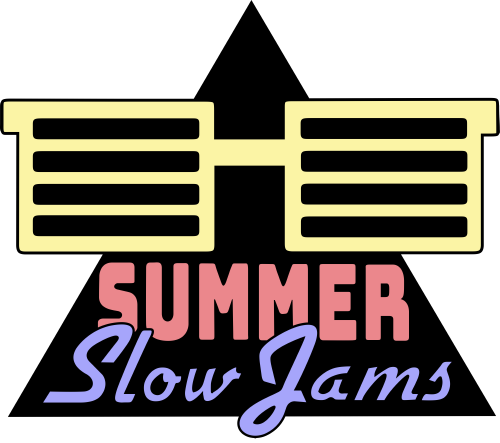 Summer Slow Jams is a collection of game jam events happening once a month this summer, providing structure and networking opportunities for creatives in Portland and remote participants. Participate in a jam to finish a creative project, learn new things, meet new people, and share your work! Creative themes are delivered during each kick off event then shared online, and developers are able to showcase their game jam projects at each closing event in Portland, OR. In between the dates of the kick off and closing showcase, you are encouraged to meet up with others at public places or using online channels to complete a game over whatever in-jam time period you see fit: take it slow if you need! For more information about how to participate in Summer Slow Jams, visit pigsquad.com/summerslowjams! Other Summer Slow Jams this year include Location-Based Games and Parody Games. You do not have to be present to participate in the jams! Follow PIGSquad on social media channels for consistent updates on events, workshops, and other opportunities. You may use pre-existing tools to make games, but please start your jam at the official jam start date after the Creative Theme is revealed. Jammers retain full ownership of the games they make during Summer Slow Jams. If you'd like to participate in choosing the creative themes for each jam, voting is exclusive to our Patreon members - learn more here! Late submissions or submission updates can be accepted - just get in touch with an organizer. Extra special thanks to picogram, Marlowe, and Nyssa for assisting with Summer Slow Jams art! Tweet with the hashtag #summerslowjams and PIGSquad will retweet screenshots, video uploads, and blog posts of jam games while you're working on your games! The Portland Indie Game Squad is a 501(c)3 organization dedicated to supporting the health and continued expansion of game developer and enthusiast communities in Portland, the Pacific Northwest, and online. We provide events, resources, and networking activities for art and technology creatives. Learn more at PIGSquad.com. Your attempts to escape The Greenhouse just may be futile. A small but brave soul sets out to reunite with a lost friend. 4 Player Mini-Game Part In Space! Ever wanted to be a bee? Ever wanted to check if you and a friend would be good at being a bee, together? A twist on the classic sliding 15-tile puzzle! The world is alive - and it's trying to eat you. Use your gravgun to reach your escape ship. Pluto's out for revenge on the Sun - but he must face the other planets first! 4p shotgun shootout in a graveyard! Summer Slow Jams June 2018 "The World is Alive"
A puzzle game with some wings!